I am overjoyed by the fact that “Rosie the Pig” has been so successful, but I am even more excited about “Pistol the Horse.” Last year was such a huge learning curve as I entered the world of publishing, marketing and promoting my first book. And I still have so much to learn, but it hasn’t been nearly as intimidating this go round. As I continue to work with my sister, Sarah Haug, illustrator and graphic designer, I am more impressed every day. She is doing a fantastic job taking my jumbled up words and turning them into a beautiful, imaginative story. “Pistol the Horse” is based on a true story that happened at our ranch. While in veterinary school I would have friends come over on the weekends to ride horses. We would ride everywhere! It was just fun to kick back, relax and enjoy a nice trail ride with friends. This particular day, we went to get Pistol out of the pasture and he was limping toward us. The first thing that tipped me off to his injury was that he wasn’t running… away from me. My horses love to play a little “catch-and mouse” game before they’re saddled. Fun for them, not for me. As I got closer to Pistol, I could see that his front leg was severely injured. We brought him into the barn and could see tendons and muscles were torn. The laceration was also right over the joint! Not good. One of my friends with me that day just happened to be a first-year equine surgical resident. Wow, what a handy guest to have that day! She was able to do a full assessment of Pistol’s injured leg, clean it up and bandage it. She recommended that we take him into the veterinary school for antibiotics and wound debridement. Don’t worry the story gets better. As I was loading Pistol on the trailer, I passed by one of my other horses, BB, who was in a small turnout pen. He was limping. Really? I loaded Pistol, came back and took a closer look at BB and guess what he had done, just then? He stepped on a nail that had somehow worked its way to the surface and it was lodged in his hoof. Ouch! So I took the nail out, bandaged his foot up and loaded him on the trailer as well! We all loaded up and headed to the veterinary hospital like one big happy family. 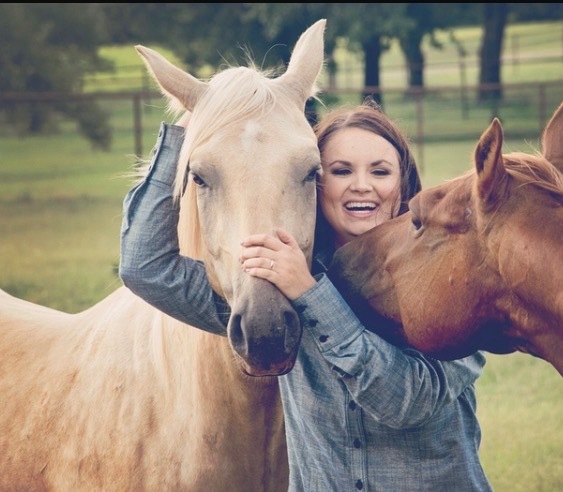 I happened to be on my equine medicine rotation so that made it easy to take care of both of my horses while there. Pistol needed antibiotics every day, along with bandage changes every few days. Over the next few weeks I learned so much. I had to come up with a treatment plan for both horses and execute those plans. Although I was upset that two of my horses were injured, it was also a great learning experience for me. I learned how to manage severe wounds like Pistol’s and how to monitor and treat BB. It also made for a great story! I love that I can take experiences that I have been through and share them through my children’s book series!